ZipZen Workshops – ZipZen: Jump into Health! Workshop: Dance yourself to freedom! Through moving, dancing, and sounds you will easily reconnect with your body. We will explore the body and its structures and organs. You will also learn to dance meditatively, to dance to the potential of your own energy and to celebrate life again in a free, spontaneous and easy way. Fun! 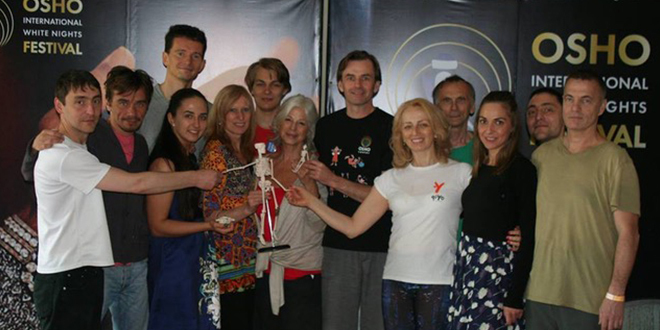 Come and discover this innovative BodyMind Integration Approach with hands-on practice. Get a taste of the principles used in the Trager® table session and explore the Mentastics® which rests on the awareness of body movements and feeling weight. If you have tasted and enjoyed the benefit of this workshop and would want to become a Trager® practitioner, this Introduction is a prerequisite for your Trager® Education. In this course you will learn easy movements that can be performed without effort. It is a rhythmic play between moving and feeling weight, directed by playful exploration of "what could be freer" in your body. You get tools to stay relaxed and stress-free during your daily activities. 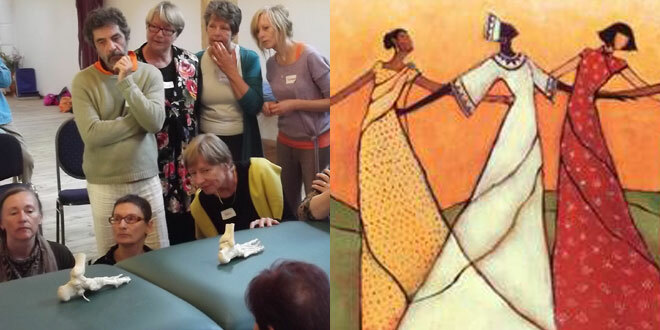 Workshop - Listen to your body and its wisdom! 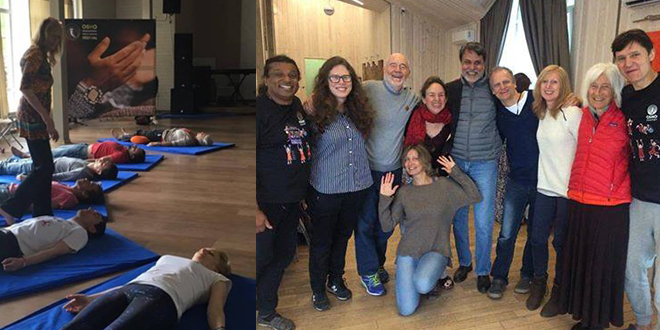 A course that supports you to be grounded and connected with your body again. Through using body-awareness and relaxation techniques, breathing, movement and dance, we will rediscover the ever-moving life-force which resides inside all of us. We will also explore the innovative Trager®Approach and the amazing BodyMind Centering® Approach developed by Bonny Cohen Brainbridge to get in touch with your own intuition. Highly recommended for those involved in bodywork and health disciplines. Please contact me to enroll in a workshop or if you would like more information.